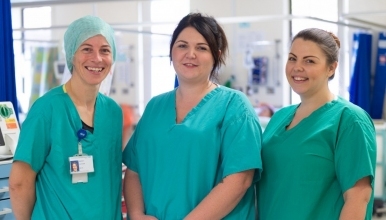 We are seeking to appoint a highly motivated, Band 5 Staff Nurse or ODP (part-time) to complement our Pre-Operative assessment team at The Princess Royal Hospital. The unit is very busy and we see patients from all surgical specialities for assessment prior to their surgery. You will be required to assess patients and identify if optimisation is required, with support from Sisters and the Pre-Operative Consultants. Training will be provided and professional development is well supported within the department. This will enable the successful candidate to build on existing skills and knowledge further. The Unit is currently open Monday to Friday between 8am and 6pm and Saturday working when required. Cross site working may be necessary as per contract to maintain the service. Our aim is to provide the very highest standards of care to patients and relatives alike, ensuring privacy and dignity is maintained at all times. The candidate should possess a registered nursing or ODP qualification, be highly motivated, enthusiastic and a team player. Excellent communication skills, verbal and written, are essential and in addition the candidates are required to provide evidence that they are able to work on their own initiative and prioritise their workload and IT skills are essential. The successful candidates should also be able to demonstrate a desire and willingness to contribute and be involved in the development of our Pre-Operative Assessment Unit. Pre-Op at The Princess Royal Hospital is a small cohesive team which is very friendly where you would be well supported. We welcome all enquiries and informal visits.